When you're cosplaying from a low-fi game, low-fi cosplay is required. 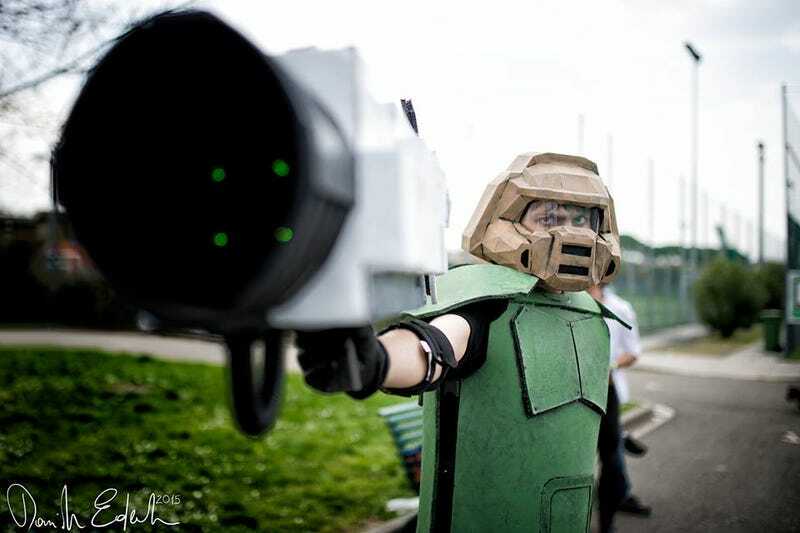 Awesome Doom Guy suit from David Raven, photo by Davide Ederle. This pic, meanwhile, is by Massimo Pelagagge.